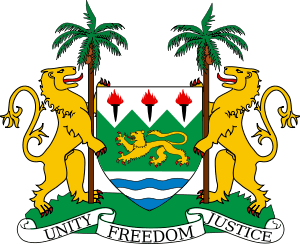 The Bank of Sierra Leone is the central bank of Sierra Leone. It issues the country's currency, known as the Leone. The bank formulates and implements monetary policy, including foreign exchange. The current governor of the Bank of Sierra Leone is Kaifala Marah, who was appointed by president Ernest Bai Koroma, and took office in 2015 after he was approved by Parliament. He succeeded Samura Kamara. The Bank Headquarters is at Siaka Stevens Street in the Central business district in Downtown Freetown. The Bank is engaged in policies to promote financial inclusion and is a member of the Alliance for Financial Inclusion (AFI). On 20 December 2012, the member institution announced specific commitments toward AFI's Maya Declaration to move further toward the eradication of financial exclusion in Sierra Leone. In order to create an independent economy for the new country, the government drafted legislation to create a central bank and a new currency. The enabling legislation was passed on 27 March 1963 and the bank began operations on 4 August 1964. At the same time, the Leone was inaugurated, using a decimal system of currency. ↑ "Bank of Sierra Leone makes specific commitments to Maya Declaration". AFI Global - Bringing smart policies to life.